I’m a bit obsessive about educating myself. I’ve always got a lot of books on the go, and I’m always researching possible courses to take. Enter Udemy. Tons of courses at crazy affordable prices, like Danielle LaPorte’s Fire Starter Sessions. It was only $19 when I signed up, and I am finding it so incredibly valuable and necessary at this point in my life. Plus, since I have lifetime access to it, I can revisit the concepts on an as and when needed basis. Money: More is More. Enough Is Plenty. I can’t recommend this course enough. You can do it at your own pace, and the price is beyond affordable. To me, it’s a win-win, and I haven’t even finished it yet. Which reminds me: a little education before work sets the day off quite well, so I better get to it. Shake up your beliefs. 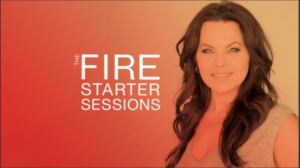 Check out the Fire Starter Sessions by Danielle LaPorte on Udemy. *I am a Danielle LaPorte affiliate. This means I believe in her products and make a small percentage of any purchases made via this link, which I use to buy almond milk London fogs on occasion.